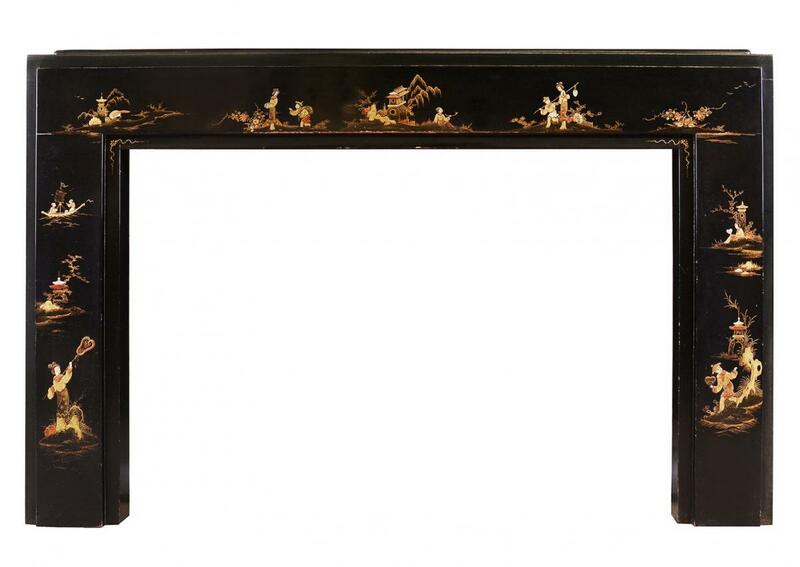 An Art Deco Japanned/Chinoiserie mahogany fireplace, decorated with birds, foliage, temples and indigenous people. Japanning is the art of immitating 17th Oriental lacquerwork, using layers of varnish, heat-dried, and then polished, to give an ebonised finish. Early 20th century. (Photo’s prior to full restoration).